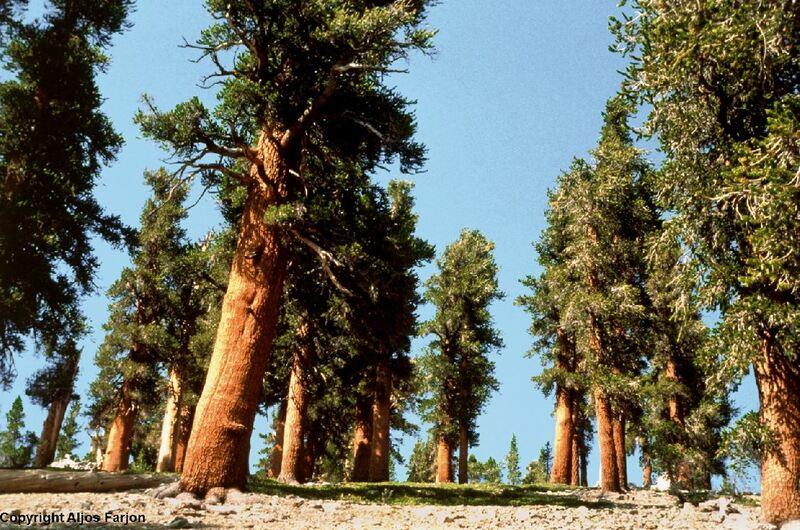 The conifers as a group display some of the most extraordinary biogeographies known to science. The distribution of families, genera and species is not random, but shows distinct patterns. There are areas of diversity as opposed to those with very few species, and areas of endemism versus regions only containing introduced species. Many species display marked disjunctions. There are even regions lacking any conifers, and some of these omissions are difficult to explain. 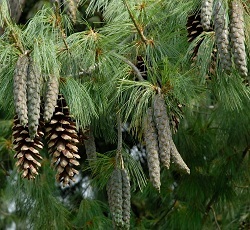 The conifers are familiar to most of us from the extensive forests of pines and spruces in the northern parts of America and Eurasia, and of course from gardens and parks in the regions with temperate, cool climates. But their natural distribution is much more extensive than that. Few people would know that some 200 species are confined to the Tropics, and that the islands of Borneo (large) and New Caledonia (small) both contain more native species of conifers than all of Europe. Conifers occur on all continents except Antarctica, which has no living woody plants of any kind. They occupy almost all major landscapes, from the Arctic to the Equator, from lowland savannas by the sea to near the perpetual snow line of the highest mountains, and from the dark forests of the wet coast of Alaska to the centre of the Sahara. Some species have distributions that span a continent, while others are restricted to a clump of trees on a hillside or in a deep canyon. Conifers perhaps more than any other plants reflect in their distribution the ancient break-up of the continents, especially in the southern hemisphere (Gondwana). They drifted apart with the lands they grew on. 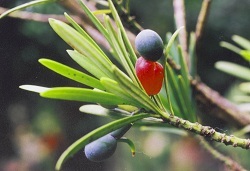 Other species used "fruits" to be spread by birds all over the Malesian Archipelago and along islands in the Caribbean Sea. 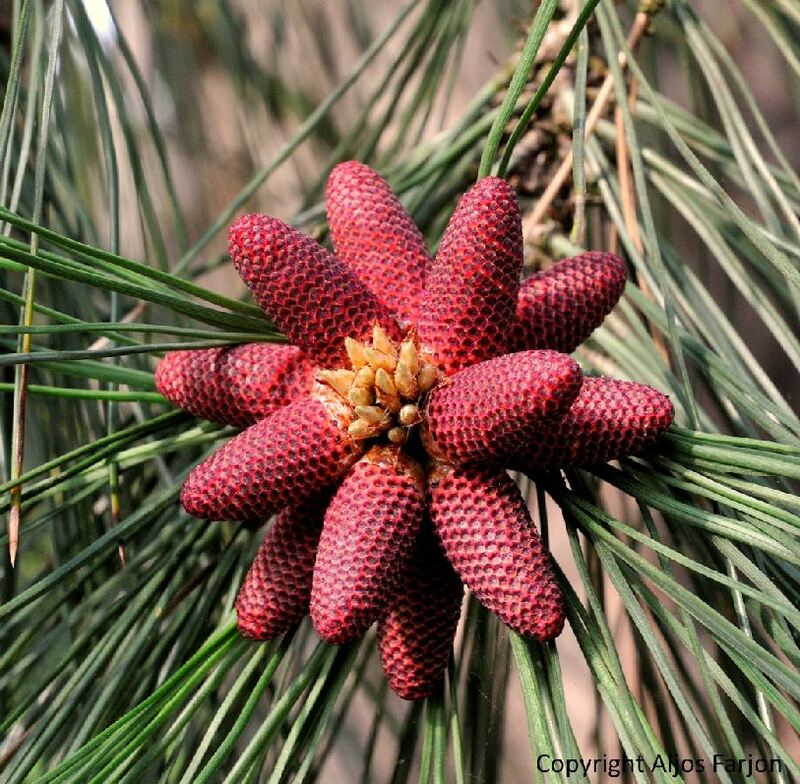 Such and other intriguing patterns can be studied using the conifer database. 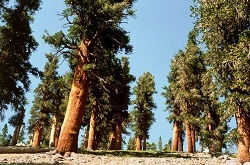 The 615 species of extant conifers are classified in eight families of which 540 belong to the three largest families Pinaceae (231), Podocarpaceae (174) and Cupressaceae (135). The other five families are Araucariaceae, Cephalotaxaceae, Phyllocladaceae, Sciadopityaceae and Taxaceae. 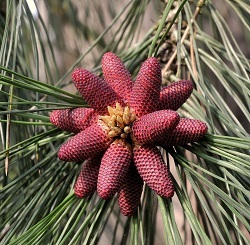 The Pinaceae, with 11 genera are an exclusively northern hemisphere family. The Podocarpaceae, by contrast, are a largely tropical family; outside the tropics they occur mostly in the mountains of the southern hemisphere and have, at present, 18 genera. The Cupressaceae are the only cosmopolitan family of conifers. Somewhat smaller in size than the previous two with 135 species, it is currently recognised as having 30 genera. This count includes the former Taxodiaceae. The smaller families, except the Taxaceae, have a more limited distribution. 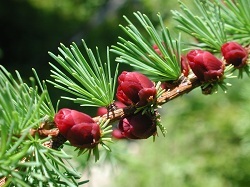 Further online information on most conifer species is provided in Chris Earle's website The Gymnosperm Database. The nomenclature of conifers, with accepted names, synonyms and common names in many languages, can be accessed in the Conifer Database of the Catalogue of Life. 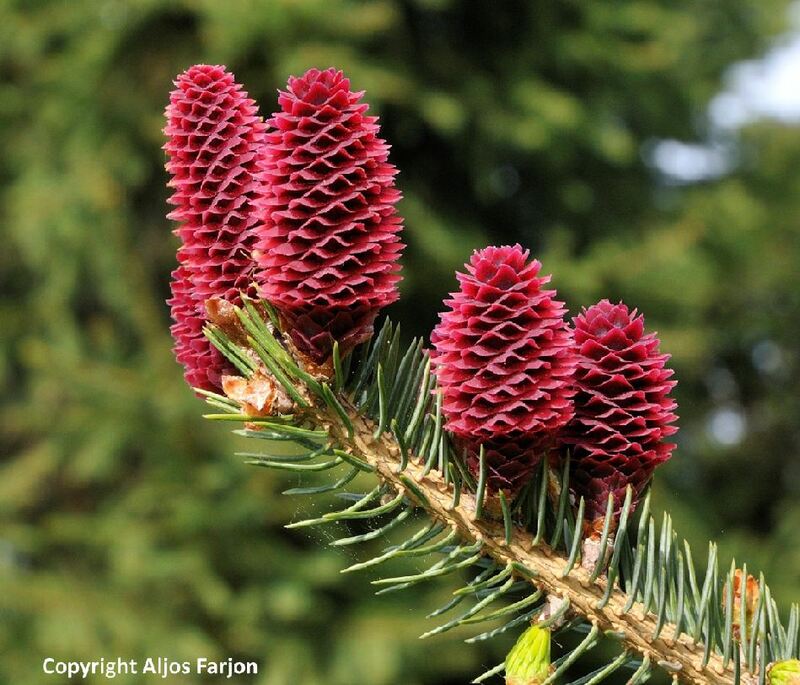 The complete conifer database can be downloaded as a sample database in BRAHMS format. The BRAHMS training guide uses conifer database examples in the training exercises. The database includes all published conifer names (accepted and synonyms) with full nomenclatural details, IUCN conservation status codes and criteria, distribution summaries and TDWG distribution codes. It also includes herbarium specimen data across the group, almost all geo-referenced for mapping. Aljos Farjon is pleased that these data are to be used for training purposes. If you wish to use the data for research publications or any other purpose beyond training, please consult first with A.Farjon@kew.org. This website provides access to data for nearly 37,000 conifer herbarium records gathered from all continents and all conifer families. Records, unless introduced or cultivated, can be mapped. Taxonomic information is provided with full synonymy, citation and types. 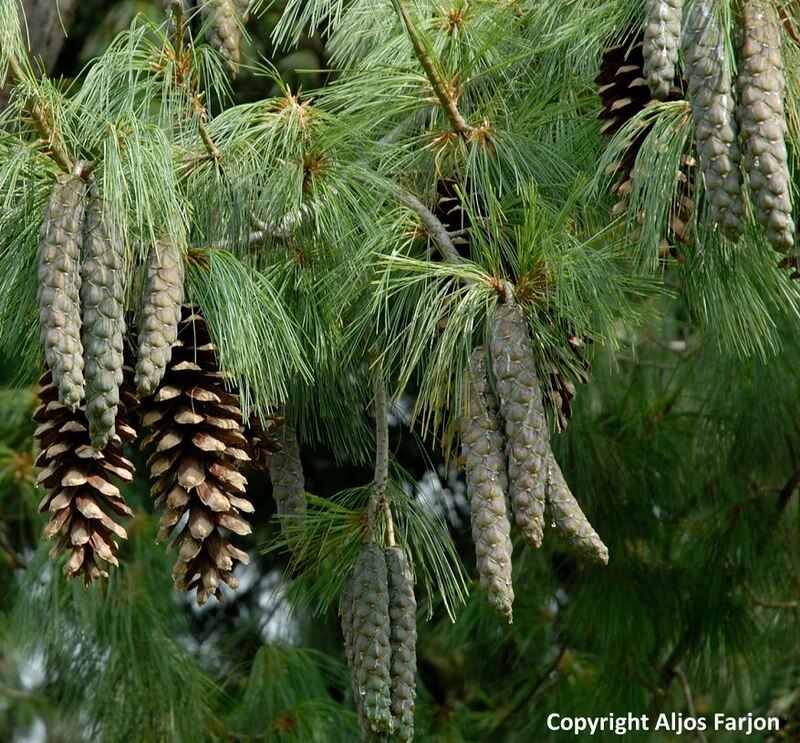 A taxonomic monograph on Pinus for Latin America (Farjon, A. & Styles, B. T., 1997. Flora Neotropica Monograph 75, The New York Botanical Garden. A World Checklist And Bibliography of Conifers, Aljos Farjon, 2001 (2nd edition), Kew Publishing. A Monograph of Cupressaceae and Sciadopitys, Aljos Farjon, 2005. Kew Publishing. A Handbook of the World's Conifers. A. Farjon, 2010. Brill. An Atlas of the World's Conifers. (A. Farjon and D. Filer, 2013). Brill. The database is developed, managed and published online by Aljos Farjon using BRAHMS. Farjon has worked as a taxonomist at the universities of Utrecht and Oxford and for the Royal Botanic Gardens, Kew. He is a Fellow of the Linnean Society of London and the Royal Geographical Society. He was Chair of the Conifer Specialist Group of IUCN from 1995 to 2015.